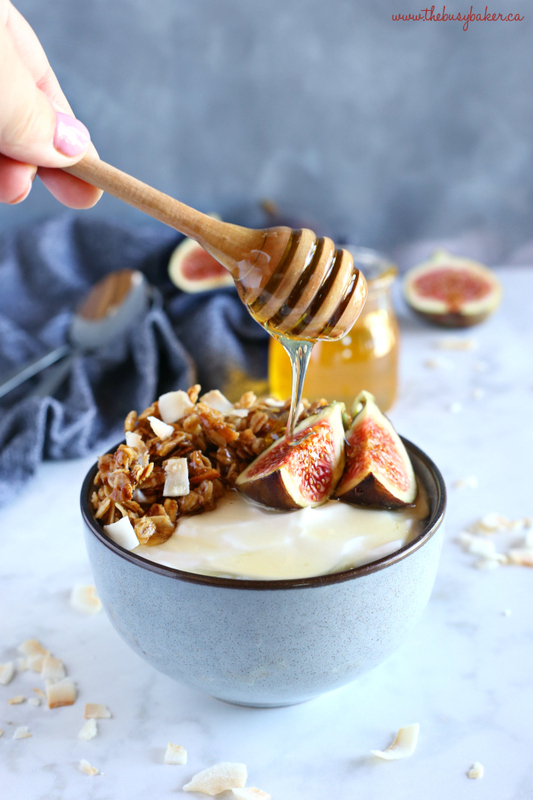 These Healthy Honey and Fig Breakfast Bowls are the perfect quick and easy breakfast idea for busy mornings – they’re packed with protein, healthy fats, fresh fruit and sweet honey! I know I’ve mentioned many times before (so, sorry for those of you who are tired of hearing about it!) that the Farmers Market is one of my favourite places to be in the summer time. And living in Eastern Europe really affords us some unique produce at the seasonal markets – the fruits and veggies from Greece, Turkey, Northern Africa, Spain and Bulgaria are fresher than anything I’ve ever tasted before. I just love all the Easter Mediterranean fruits and vegetables that start showing up at various stands this time of year and this week I could not resist the figs! 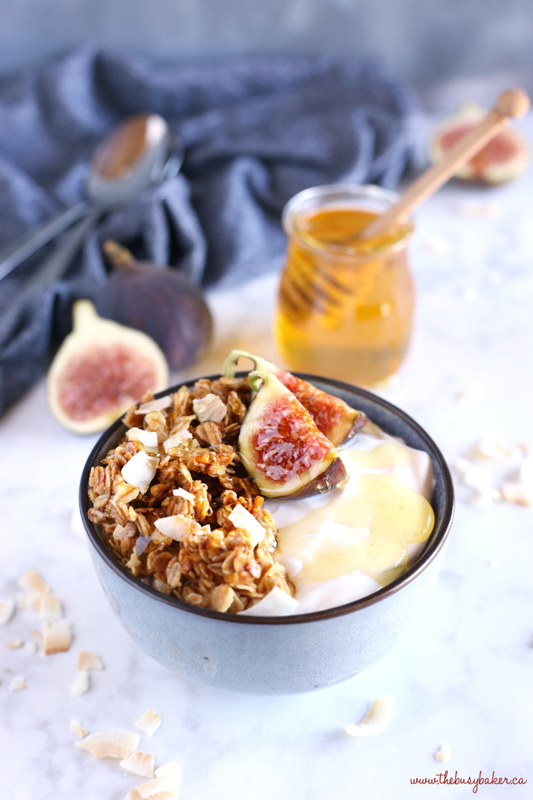 I knew I had to make something delicious and beautiful and so these Healthy Honey and Fig Breakfast Bowls were born! Looking for MORE breakfast ideas? 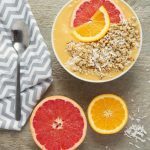 You’ll love these Strawberry Banana Orange Power Smoothies, these Citrus Mango Coconut Smoothie Bowls, or this Chocolate Coconut Granola! I eat a version of this breakfast almost every morning and of course it varies depending on the seasonal produce available. I was so happy to get my hands on some fresh Turkish figs this week, and I was equally excited to get my camera out so I could capture their beauty and simplicity – aren’t they gorgeous!!?? 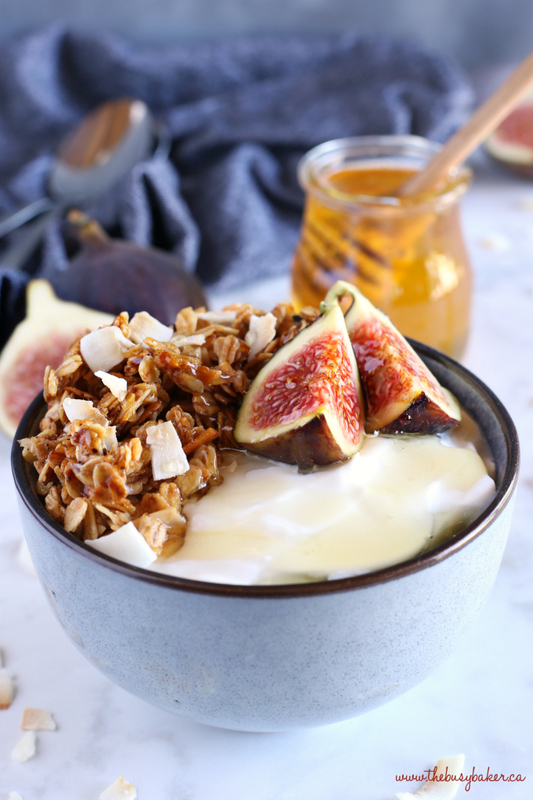 I love making these breakfast bowls for myself and the kids with our favourite homemade granola, fresh Greek yogurt, whatever fruit is available at the moment, and a nice drizzle of local honey. In the winter we eat them with apples, bananas, or oranges, and in the summer with fresh berries, fresh local peaches or nectarines, plums, and figs! 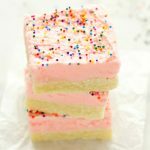 And you can make them dairy-free too, with your favourite dairy-free yogurt substitute. My husband’s favourite is the Alpro Coconut Yogurt – it’s delish! 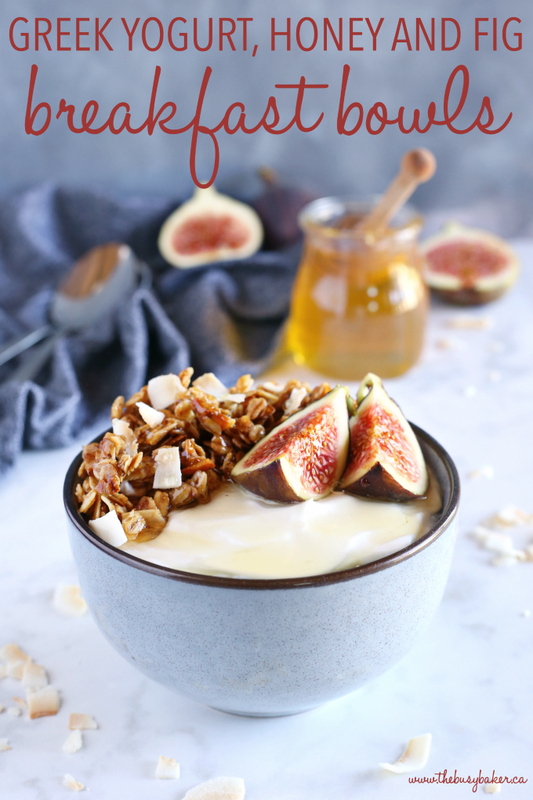 I hope you enjoy these delicious Healthy Honey and Fig Breakfast Bowls as much as we do! Let me know in the comments below, what’s your favourite go-to breakfast? 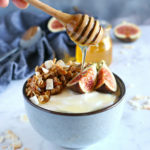 These Healthy Honey and Fig Breakfast Bowls are the perfect quick and easy breakfast idea for busy mornings - they're packed with protein, healthy fats, fresh fruit and sweet honey! Prepare my Basic Homemade Granola recipe according to the recipe directions. For each serving, spoon 1/2 cup Greek yogurt into a bowl. Top with as much granola as you'd like, along with a tablespoon or two of shaved toasted coconut. 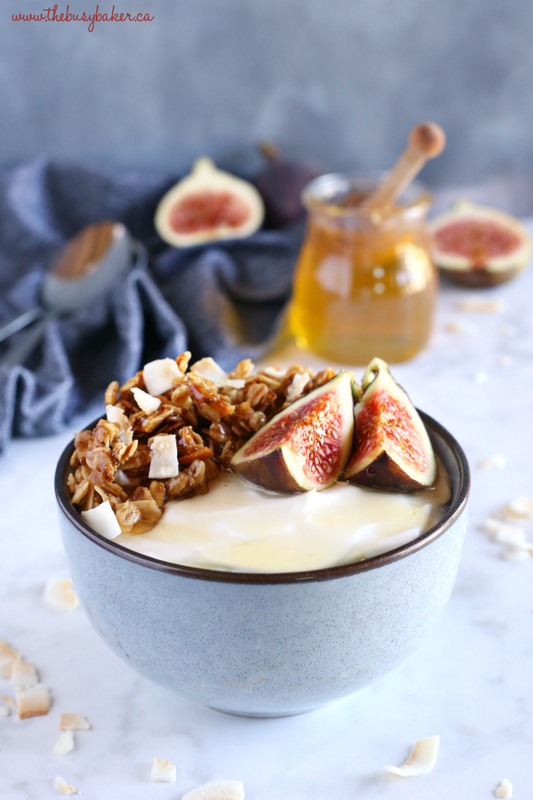 Slice the figs and place on top of the granola and yogurt. Drizzle on some honey, and enjoy! 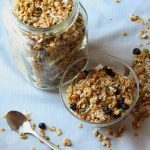 For this recipe, you'll need my Basic Homemade Granola recipe. Find it HERE. Feel free to use sweetened vanilla-flavoured yogurt, if you prefer, or even fruit-flavoured yogurt. Substitute the figs for any fresh fruit you love, or use dried figs or dates instead. This looks like a great way to start the day! I love that you made homemade granola! Thanks so much! Homemade is always the best! My kid is obsessed with greek yogurt. 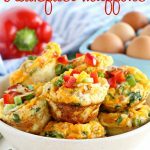 He will love this breakfast idea! Mmmm!! This is totally my kind of breakfast!! Looks fantastic!! Ours too! Thanks so much! This is such an amazing day starter! Looks really good! This is the perfect breakfast for me. 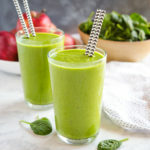 YUM, these really sound delicious! Thank you for a great recipe! This is such an awesome way to start the day!